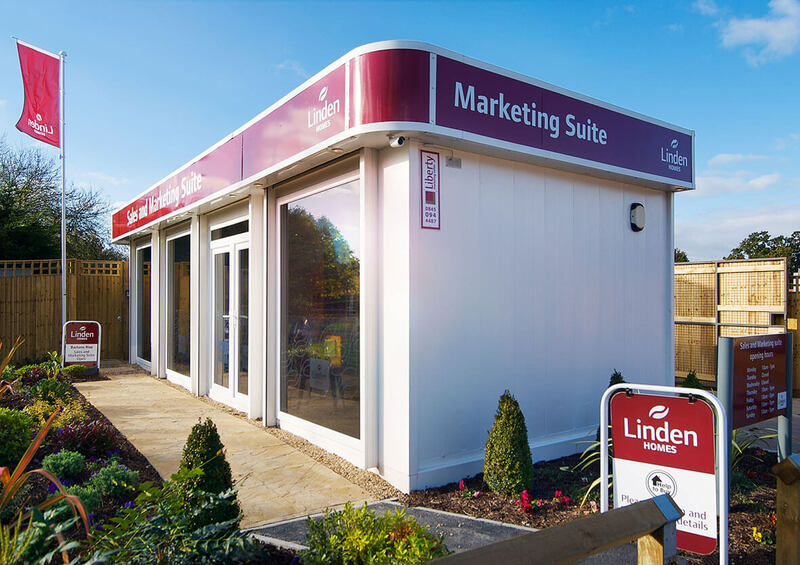 Bartons Rise, a Linden Homes development located in Havant, Hampshire, had an urgent need to start pre-sales from a temporary marketing suite to respond to local interest and generate further prospects before the site was ready for a full sales launch. 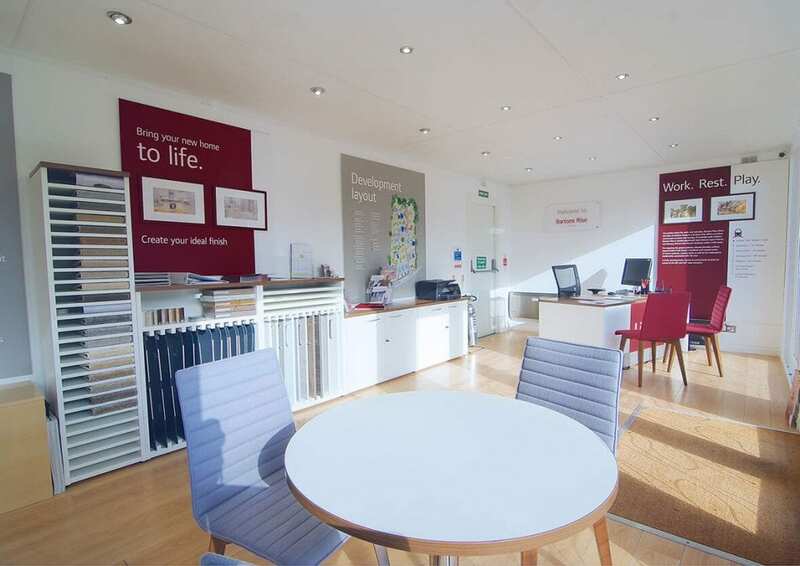 It was to be the first installation under the new contract but the floorplans did not fit with the newly developed brand guidelines and therefore it was key that we were able to interpret these and deliver an alternative configuration to create an inviting and inspiring customer environment. Addressing the space restrictions was the first task, while prioritising both the layout and the graphics that could be used. The team at Reade Signs was able to quickly design a footprint that could be repeated in similar sized units providing the key areas for sales advisors, welcoming customers and a useful meeting area. 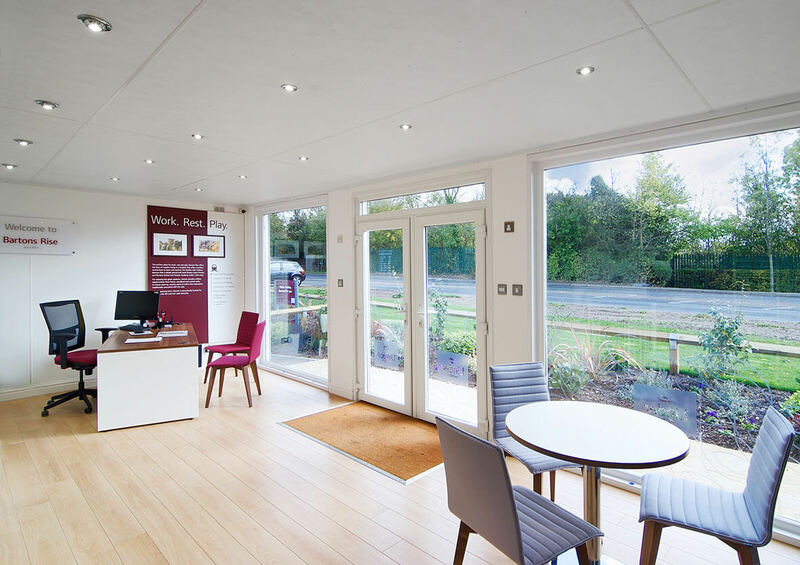 The cleverly designed bespoke unit to house interior samples for customer selection was also included meaning visitors could get excited about selecting their home interior from day one. Added to this, plenty of storage made the interior both practical and stylish. 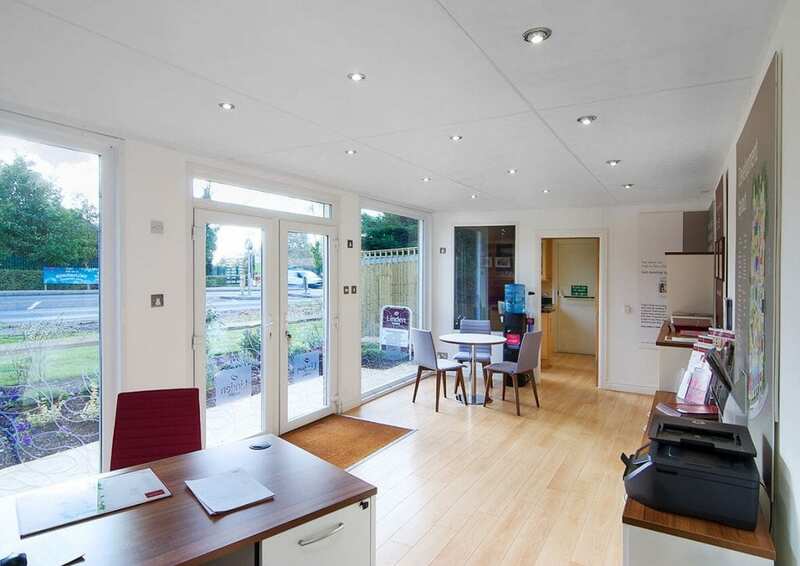 All aspects of health and safety were considered, when designing the layout, so escape routes and all statutory signage were included as part of the package. 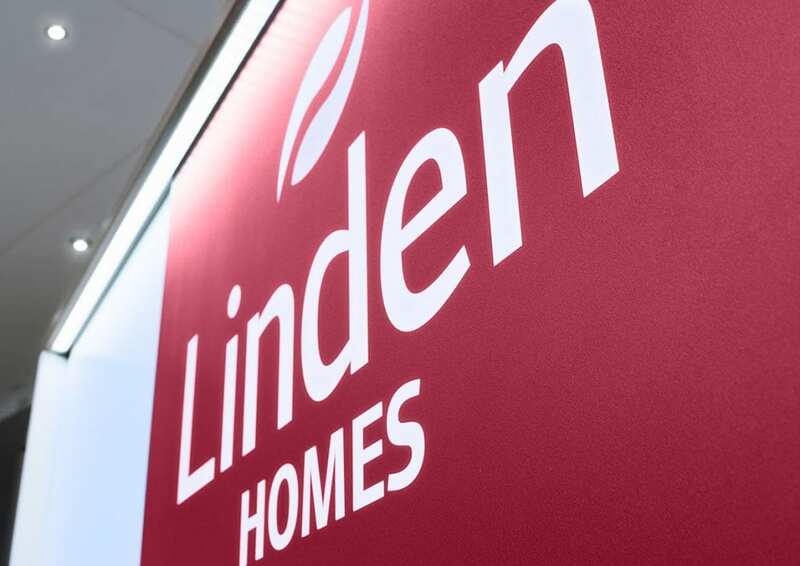 The co-ordination of fitting with both sales and site teams meant a smooth and easy installation with handover on time to enable a positive and well received launch. Years of successfully working on site mean we understand the needs of site managers with an excellent compliance record, as well as the client needs for a successful project. This was a fantastic example of how a development can be showcased at an early stage to the local community. 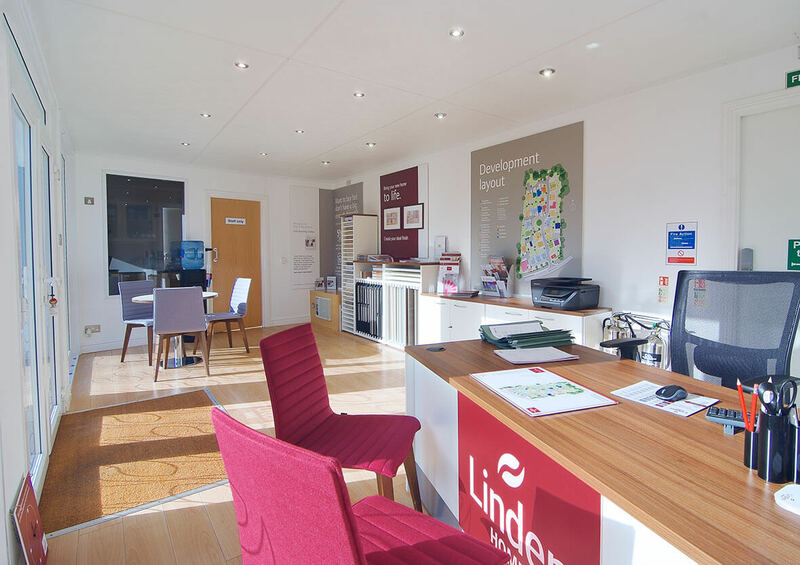 The space issues don’t compromise the Linden Homes brand and the overall scheme is both welcoming and professional.